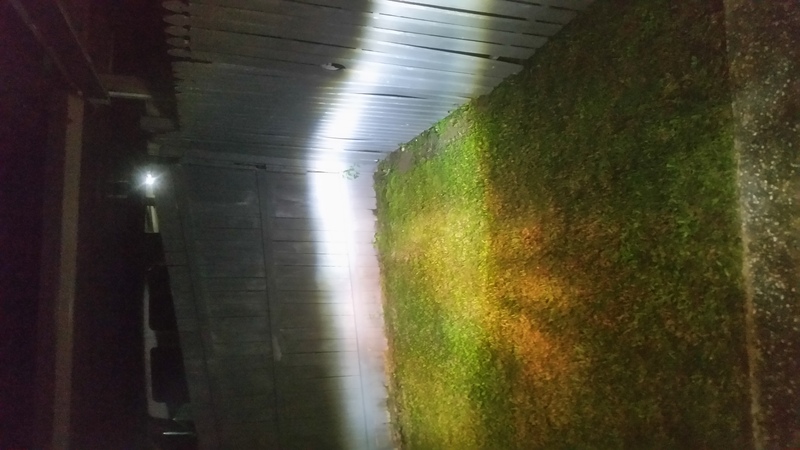 This is a view of the yellow light from the original light with the crisp bright light from the new LED's (beauty of having 2 headlights, you can do a side-by-side comparison). 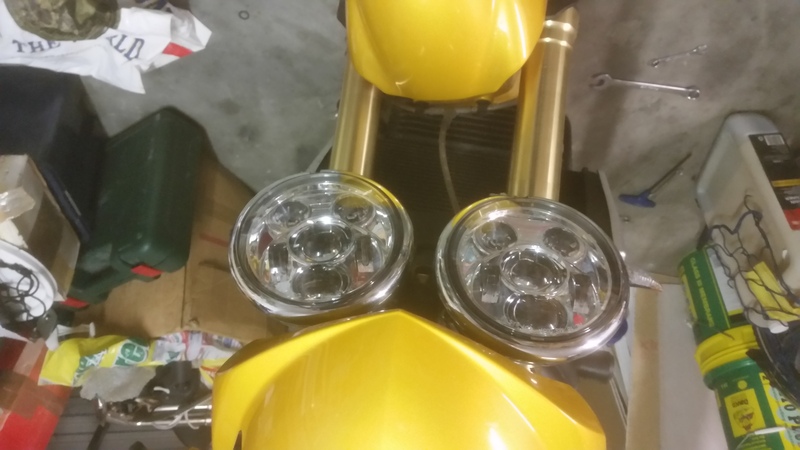 I got sick of not being able to see the road in front of me at night so bought some LED's like the ones Koko has. Far better night vision now. what year is your bike? If you went to LED headlights, I strongly suggest also upgrading to a MOSFET R/R and wiring direct to the battery if you haven't already done so.. It's an 05 S3, not changed anything other than the lights. It was a straight forward plug and play and not had any problems to date. Can you advise why there is a need to upgrade, what problems should I be looking for. the above are all symptoms of poor stator cooling and R/R design. The stock 05 charging system puts the unused voltage produced back into the stator where it becomes more heat. LED lights use a lot less power than stock so there is even more going back into your stator. A series style RR basically shorts out the excess power instead of sending it back to the stator. Mosfet is good Series is better. This is the wattle, the symbol of our land. You can stick it in a bottle, you can hold it in your hand. Australia, Australia, Australia, we love you, Amen. Mosfets run cooler than stock but the series RR make the stator run cooler which is the key to longevity. Ok AA & dr g, let me check I have this right, by changing to LED headlights I need to change the regulator rectifier to either a Series or MOSFET to prevent problems with the stator. Do I also need to change the stator? I should have done a better search before changing from crappy candle lights to the LEDs. It’s all good my man. Read Sparti’s ultimate thread in the how to section. Basically the 05-early08 speedies had an undercooled/undersized stator and stator cover. When combined with a standard RR this leads to the stators burning out between 25k km and 50k km. Yes, your improved lights will actually make this worse. The easy and short term fix is a series RR (don’t waste time with a Mosfet). You want a Shendengen SH775 or SH847. Good luck finding a real one. The long term fix is a stator and cover from a late 08 or a Sprint or something else that I can’t remember that will be on page 133 of Sparticus’s thread. I have the exact same problem with my 79 GS1000ST. NOT SO MEAN NOT SO LEAN EX MAROON MACHINE!